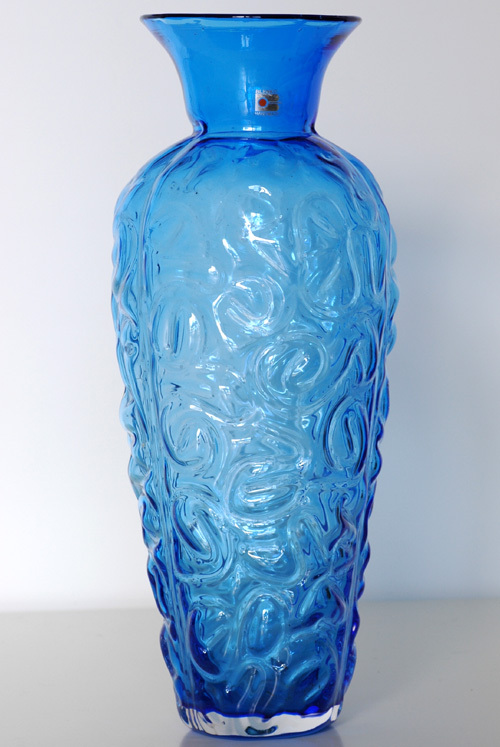 Blenko vase by Hank Adams (1988-1993) in cased Azure blue. Highly textured surface from wooden mold. Retains Blenko Orange Dot Label.